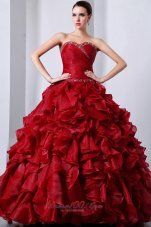 This one shoulder strap allure Quinceanera ballgown definitely takes the cake! Its sparkling, bustier-style bodice contrasts the flattering dropped waistline perfectly, with gorgeous flowers in the strap that highlights the skirt wonderfully. Its skirt explodes with bold pickups. 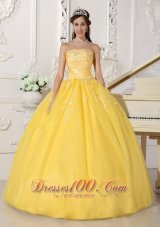 Tiny, twinkling appliques united the big pick ups are splashed in the silhouette, The dropped waistline gives way to a sensational, flared, floor-length skirt that is awash in dreamy pick ups.A lace up completes the back. hi ! i received the dress today, is perfect. thanks a lot! My daughter\'s graduation has come and gone. She was the happiest princess there! Thank you for making the dress that made her feel like a princess! The quality is excellent, better then I have seen in some shops in Canada.The neckline is also pretty generous Would happily recommend you to anyone. The blue is very very bright blue... actually a little more bright than royal. The sizes run a little small in my opinion but it fits well.